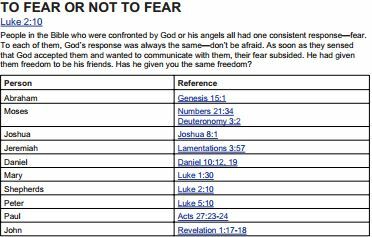 What are the key Gospel themes? What role did John the Baptist perform? What did we learn about Jesus' nature? From where does grace come? What was Luke's goal? How do you know? What type of literature are the Synoptic Gospels? Why do you think Luke and John's Gospels begin so differently? How are these two genealogies different? Why does Matthew trace Jesus to Abraham? Why does Luke trace Jesus to Adam? Create a "T" Chart showing the parallel structure of Luke's two annunciations. Why Wasn't Mary punished by Gabriel? How was Mary a woman of faith? What did she do? Why? 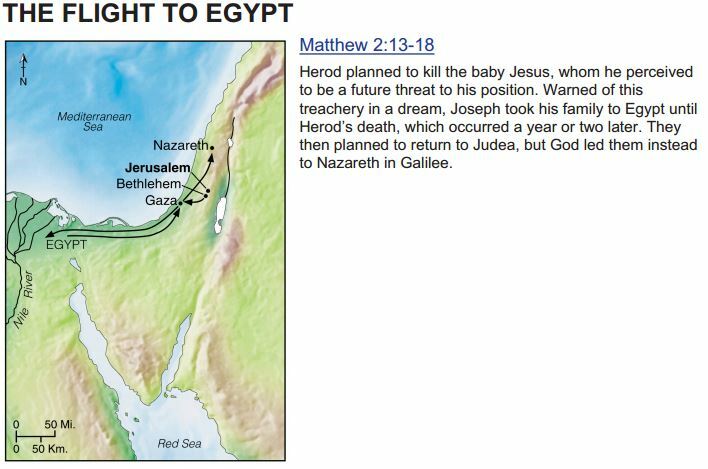 Find the passages (chapter and verse) in Mark, Matthew, and John that reference Jesus' birth. What are the two natures that Jesus possess? What does this allow Jesus to do for us? What does Jesus' name mean? 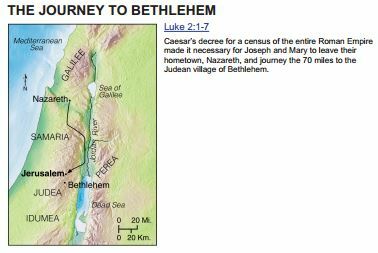 Create a chart comparing Luke's visit of the Shepherds with Matthew's visit of the Wisemen. Who were they? What did it mean? What does it say about the focus of each evangelist?